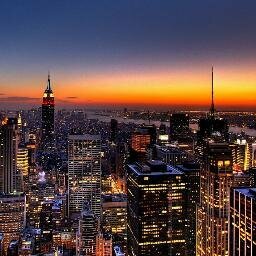 A fun event came across our desk and we just had to share it with our New York Buzz Blog readers. 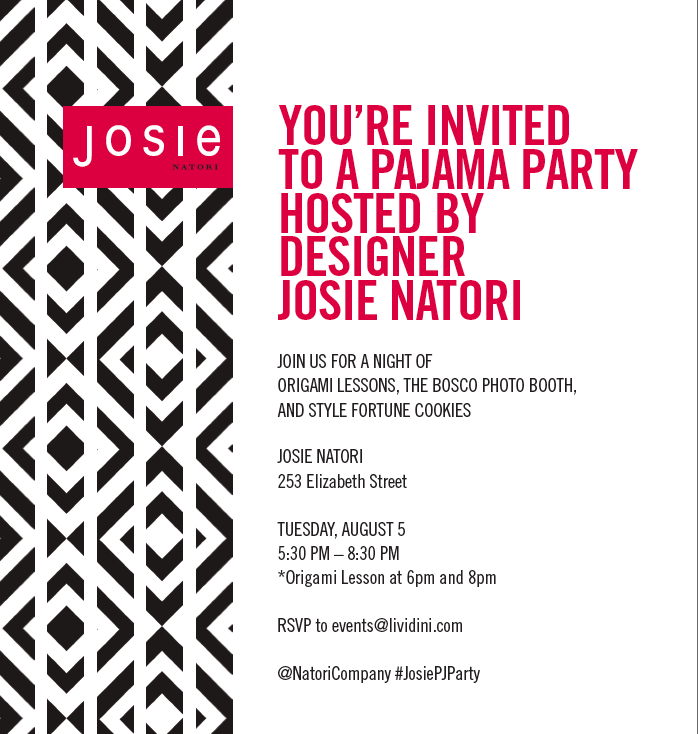 It’s a Pajama Party on August 5th from 5:30-8:30pm at the Josie Natori boutique in NoLita, which has undergone a total transformation into the world of Josie By Natori. The newly revamped boutique will introduce the Josie Collection, filled with mix and match lingerie, sleepwear, accessories, and home goods in bold patterns, vibrant colors, and exciting prints. The boutique will also introduce the new Josie fragrance collection of Eau de Parfum, body cream, and lotion. The August 5th event is open to the public and will feature origami lessons, fortune cookies and a social media booth. Additionally attendees will have the chance to win a $500 gift card to the boutique just by sharing photos on Instagram with the #JosiePJParty hashtag. The Josie Natori boutique is located in NoLita at 253 Elizabeth Street (btwn Houston and Prince). You can also visit them on their website at www.natori.com. Check out the images of the store and invitation below to find out all the details and how to RSVP. This entry was posted on Tuesday, July 29th, 2014 at 8:14 am and is filed under Accessories, Beauty, Fashion, New York City Events, Public Relations. You can follow any responses to this entry through the RSS 2.0 feed. Both comments and pings are currently closed.